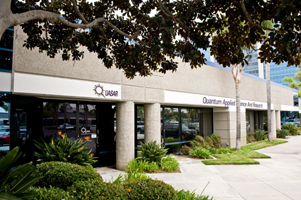 QUASAR is a world leader in noninvasive biosensing systems. Our work builds on our revolutionary noninvasive sensors integrated with precision hardware and sophisticated, robust algorithms to produce systems that output information about cognitive and physiological states. Founded in 1997, QUASAR is known for high-fidelity dry sensors for non-invasive physiological monitoring. We integrate these sensors into wearable systems with interpretive algorithms optimized to customer specifications. Our current products offer world-class, reliable, cost-effective solutions with exceptional sensitivity and frequency response. A multi-million dollar annual R&D program, focused on applications, ensures rapid translation of our newest discoveries into robust commercial products.